At Adera, our mission is to walk alongside and empower those who cannot bear to walk alone. 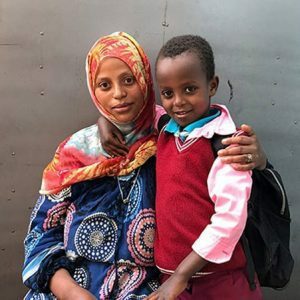 We are committed to providing basic needs, teaching essential life skills, and sharing the Gospel to provide opportunities for women, children, families and communities in Addis Ababa, Ethiopia. We invite you to walk with us and join hands in our efforts to achieve our mission because we believe that the world will know we are His by the way that we love the world.